The first of three mixed-repertory programs brings new works from choreographers the world is watching. PNB audiences know Alejandro Cerrudo (Little mortal jump) for his inventive synthesis of mood and music. Alexander Ekman’s Cacti has become an international hit: a kinetic, concussive ensemble work that is slyly ironic. 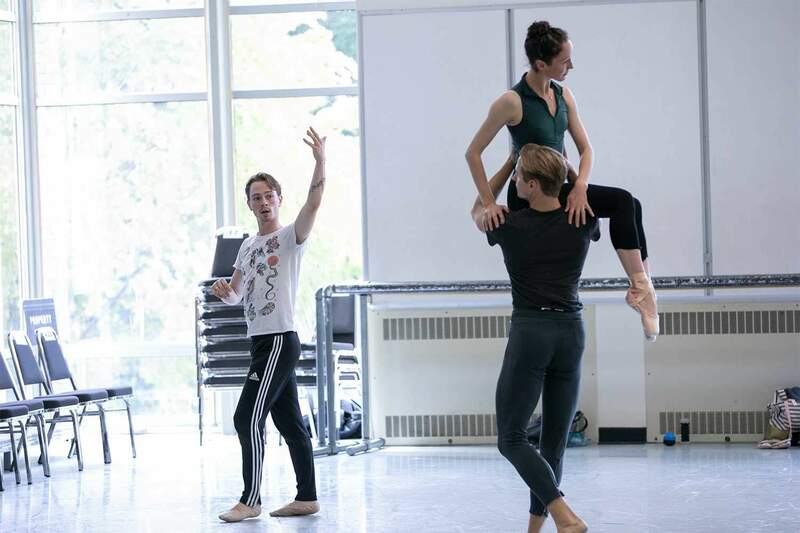 PNB soloist Kyle Davis has been creating work for years, and we are thrilled to bring his premiere, A Dark and Lonely Space, to the mainstage. This program contains profanity and is suggested for audiences ages 13 and above. National Ballet of Canada in Cacti © Alexsandar Antonijevic. 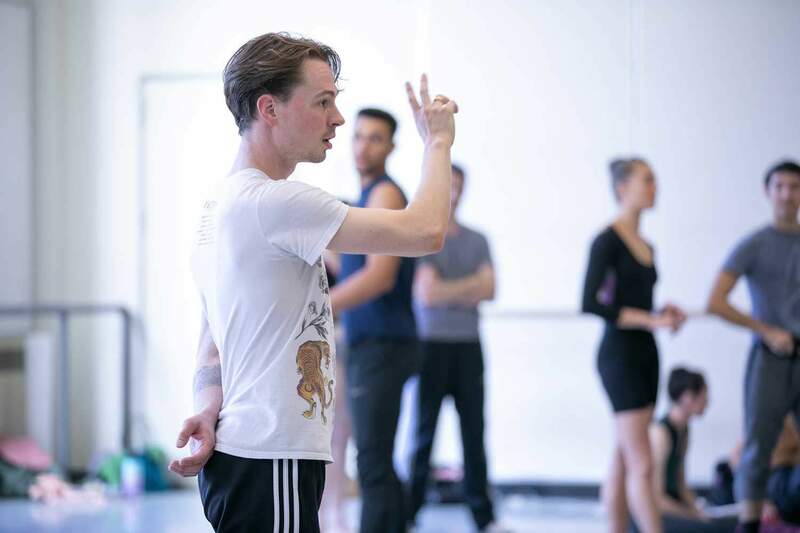 PNB Soloist Kyle Davis in rehearsal for A Dark and Lonely Space © Lindsay Thomas. Top Image: Netherlands Dance Theatre 2 in Alexander Ekman’s Cacti © Johan Persson/ArenaPAL.